They came from around the world. Administrators, teachers, doctors and nurses, church planters and pilots. Regular people in the prime of life. 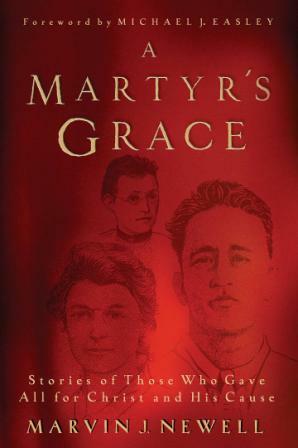 In A Martyr s Grace, Marvin Newell tells the individual stories of these faithful men and women who made a difference in the places they served. He also describes in many cases for the very first time how Jesus called them home. Their legacies live on in the rainforests, villages, churches, and cities where they died. What is it that compels ordinary people to sacrifice their lives in this way? Only Christ. They didn t go expecting to die. But they went having already given their lives.